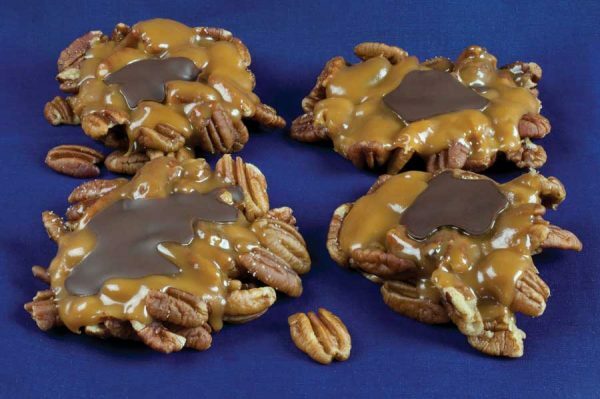 Chocolate, pecans, and caramel — oh, my! We roast and butter our own pecans before we smother them with caramel and dark chocolate to produce some of the best hand-dipped turtles you will ever eat! 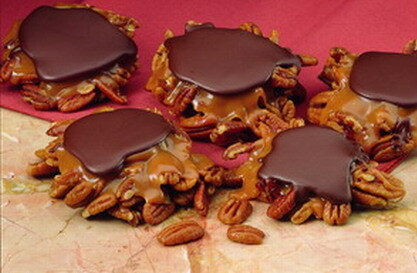 Chocolate, Pecan and Caramel Heaven! 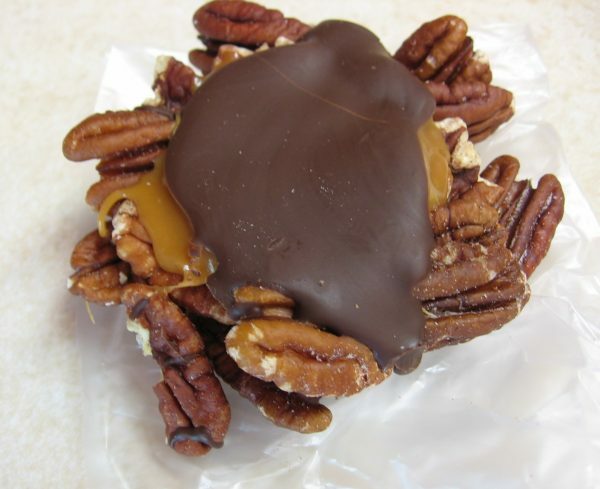 We roast and butter our own pecans before we smother them with caramel and dark chocolate to produce some of the best hand-dipped turtles you will ever eat! 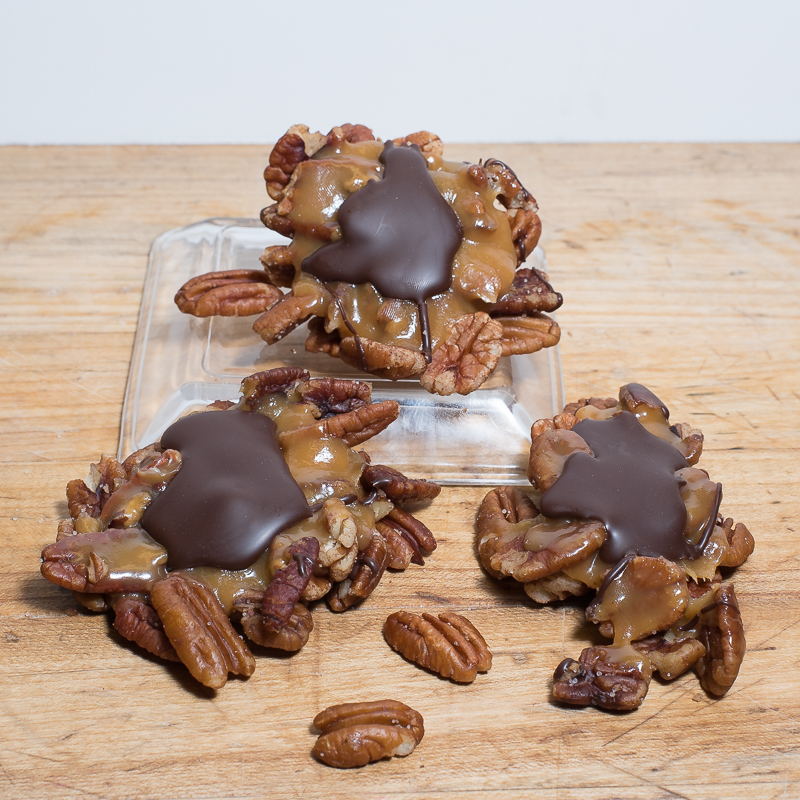 Roasted pecans, caramel, dark chocolate. 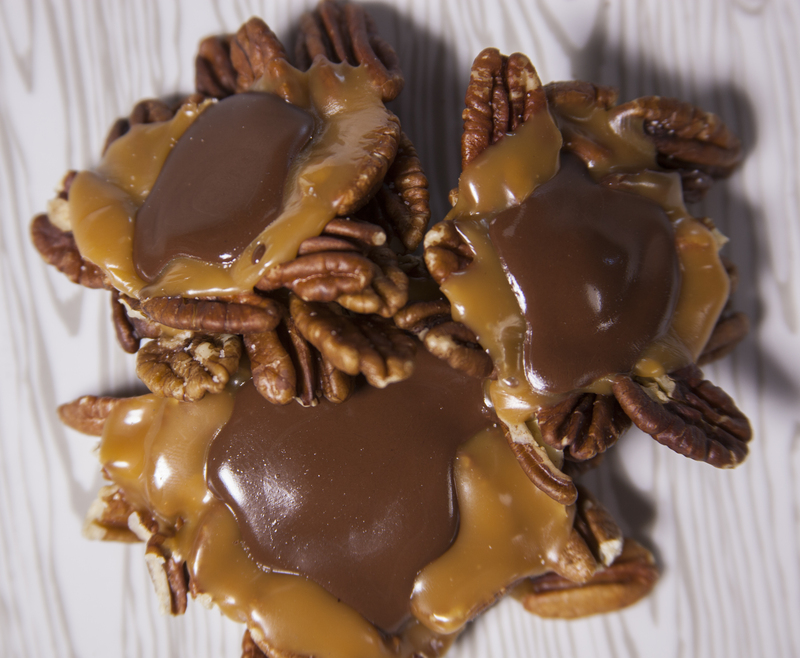 Chocolate, Pecan & Caramel Heaven! 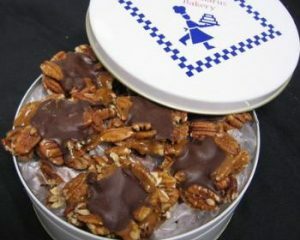 We roast and butter our own pecans here at the bakery before we smother them with chocolate and caramel to produce some of the best turtles you will ever eat! Hand-dipped, so no two are alike. 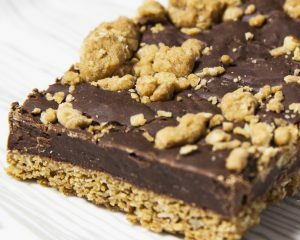 Chocolate Oat Bars are made with a buttery crumble oatmeal crust on the bottom, layered with soft dark chocolate and then finished off with morsels of the oatmeal crumble on top. The delightful flavor of Chocolate and Rum, what could be better! 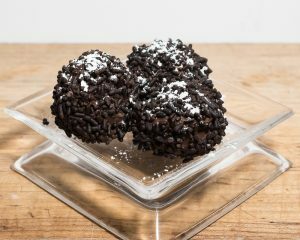 Hand-dipped with a soft center chocolate concoction made with Dark Meyers rum then dipped in dark chocolate, topped with chocolate jimmies/seasonal colored sprinkles and snow capped with powdered sugar.